Ropa Vieja is back! 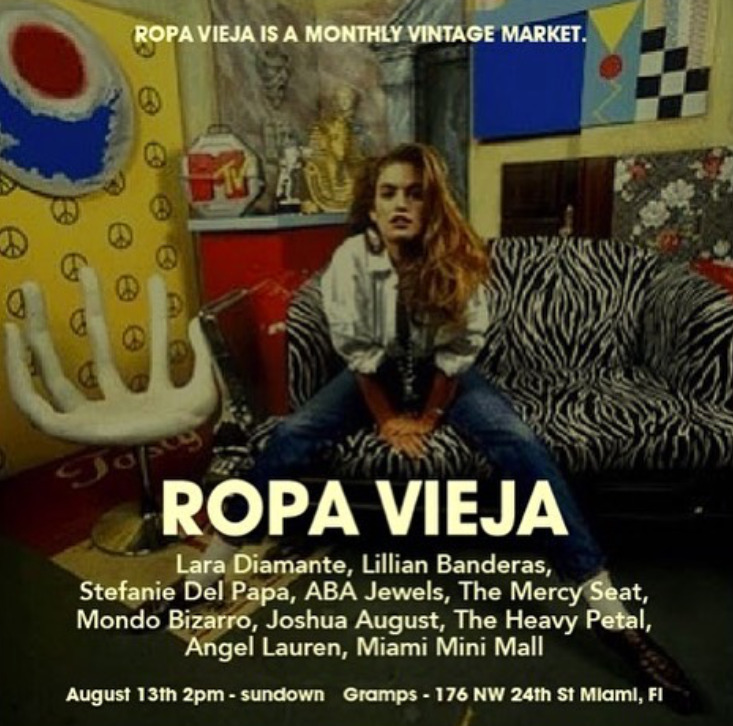 The monthly vintage market pops up at Gramps in Wynwood, today, August 13th from 2:00 pm to sundown. Curated by a collection of Miami stylists and vintage enthusiasts the market includes pieces from the stylists' own collection and sourced staples. The list of vendors includes Lara Diamante, Lillian Banderas, Stefanie Del Papa, ABA Jewels, The Mercy Seat, Mondo Bizarro, Joshua August, The Heavy Petal, Angel Lauren and Miami Mini Mall. Check it out, there are sure to be some gems.